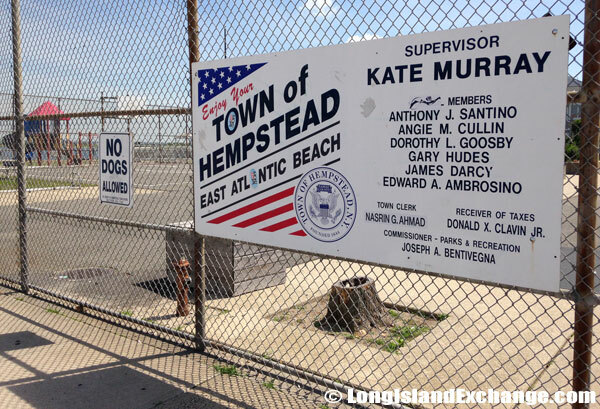 East Atlantic Beach is a hamlet and census-designated place located in Nassau County, Long Island, New York. As of the 2010 census, there were 2,049 people, 849 households, and 541 families residing in the CDP. The median income for a household in the CDP was $104,886, and the median income for a family was $102,955. Compared to the rest of the country, East Atlantic Beach’s cost of living is 63.83% Higher than the U.S. average. The latitude of East Atlantic Beach is 40.79 N. The longitude is -73.747W. It is in the Eastern Standard time zone. Elevation is 69 feet. 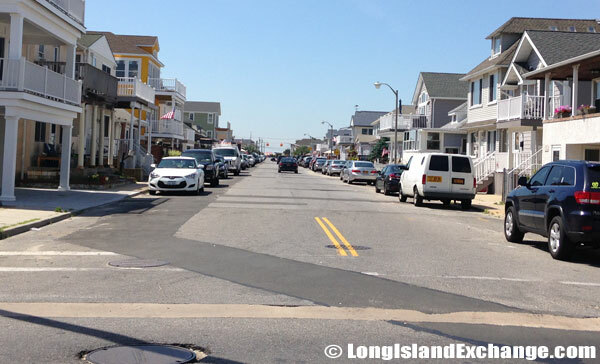 Like many beach communities houses in East Atlantic Beach are packed tightly together. 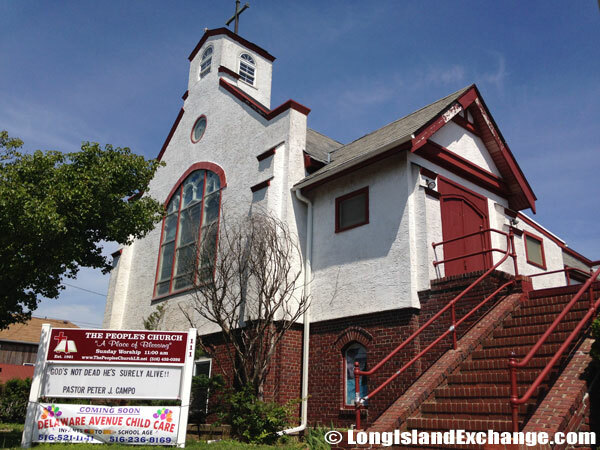 The People’s Church of Long Beach Inc is located in the North East corner of East Atlantic Beach on the border of Long Beach and serves both communities. East Atlantic Beach public schools spend $11,837 per student. The average school expenditure in the U.S. is $6,058. There are about 14 students per teacher in East Atlantic Beach. The unemployment rate in East Atlantic Beach is 3.40 percent (U.S. avg. is 4.60%). Recent job growth is Negative. East Atlantic Beach jobs have decreased by 0.71 percent. Renters make up about 28% of the East Atlantic Beach population. 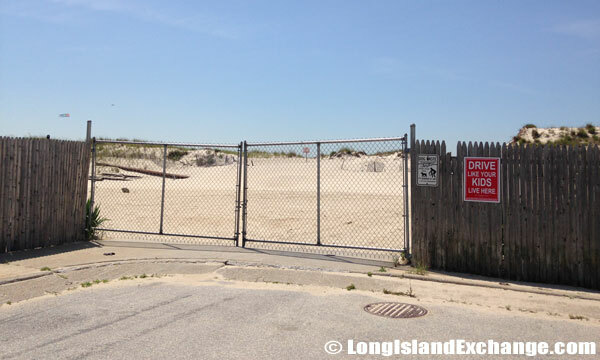 Roughly 8% of houses and apartments in East Atlantic Beach, NY, are unoccupied. East Atlantic Beach offers great vacation house rentals and home rentals by owner for the well-informed traveler. 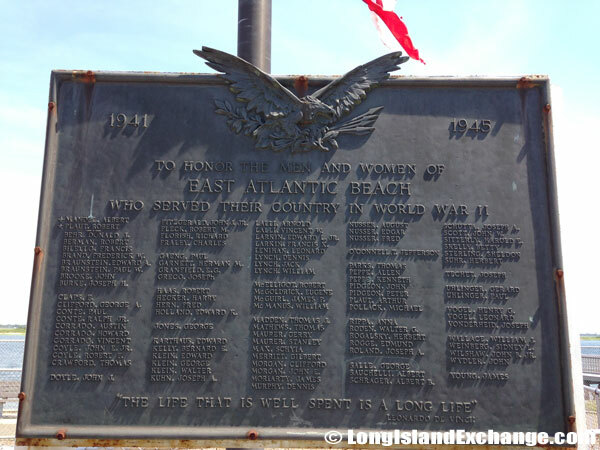 A plaque to honor the 108 men and women of East Atlantic Beach who are listed individually here and served their country in World War II. 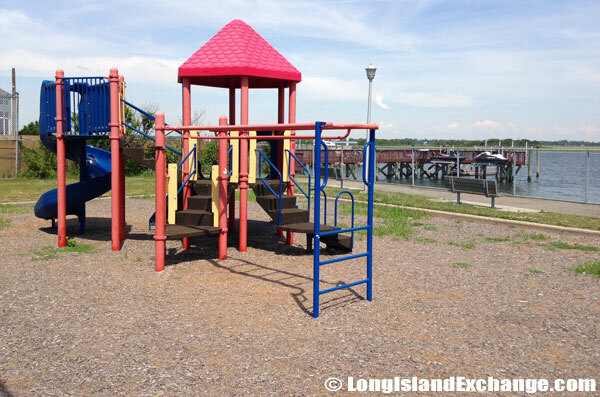 East Atlantic Beach park children’s play area. 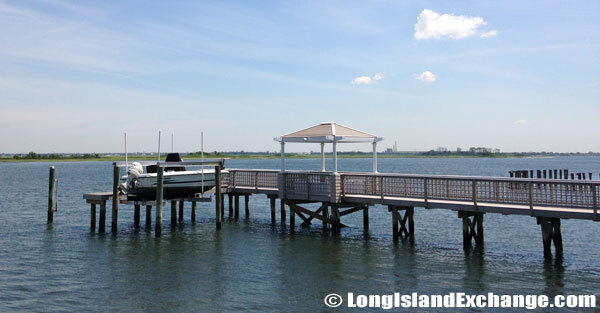 A boat sits docked on the pier behind the East Atlantic Beach park. 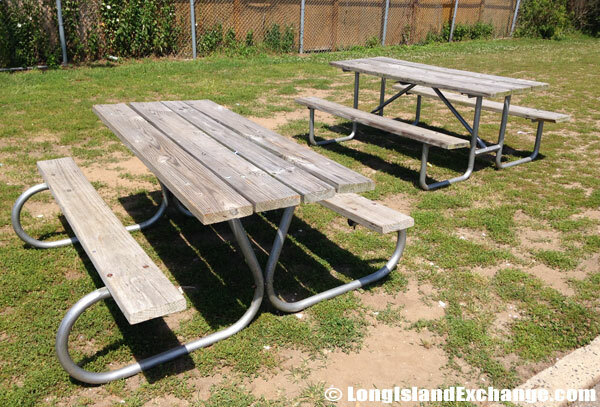 The East Atlantic Beach park has these two as well as two other picnic tables. The racial-makeup of East Atlantic Beach comprises of 97.25% White, 0.31% African American, 0.13% Native American, 0.89% Asian, 0.66% from other races, and 0.75% from two or more races. East Atlantic Beach is known as an ocean side community of Spanish-style homes and cabana clubs. For years, providers of its real estate solicited the business of wealthy New Yorkers with promises of healthful, seasonal living, away from Manhattan. 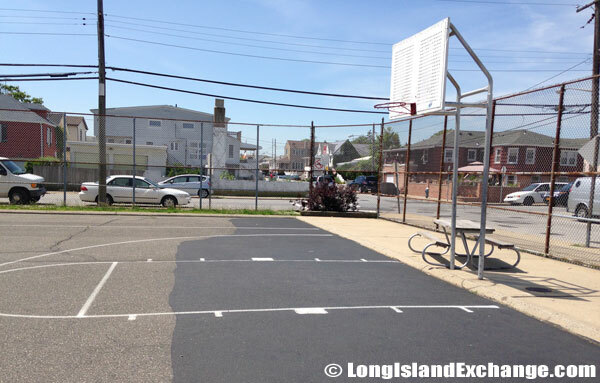 Basketball court within East Atlantic Beach park. 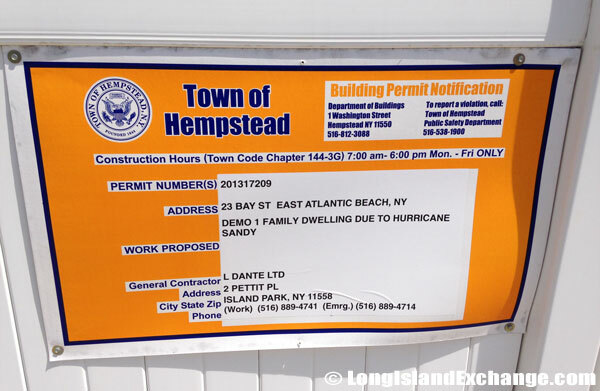 This building permit still sits to support work yet to be performed from damage by Hurricane Sandy, nearly two years prior. 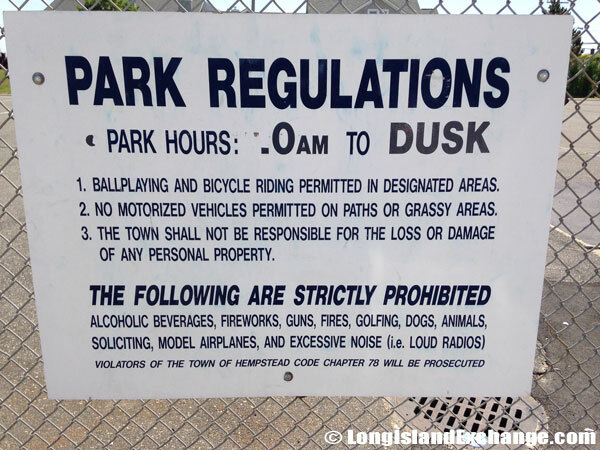 Park rules and regulations at East Atlantic Beach park. 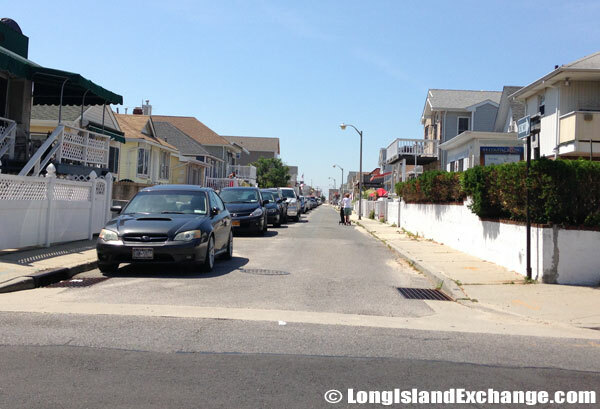 Beech Street, East Atlantic Beach. East Atlantic Beach is located, as the name implies, to the East of Atlantic Beach and West of Long Beach, Lido Beach and Point Lookout, all of which make up the barrier Island. Typically, very few rentals are available in East Atlantic Beach so if you are planning on visiting the area book your rental well in advance of spring and summer months. 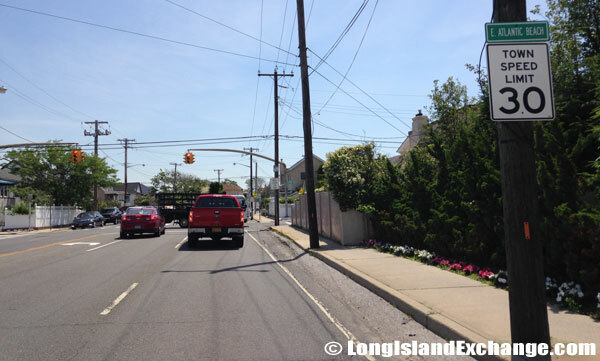 Entering the Island from its center on Long Beach Boulevard as well as entering from Ocean Parkway to the East are both free of tolls although entering from the West End has a $2.00 toll at the Atlantic Beach Bridge. A sign suggests responsible driving, drive like their own kids live here. 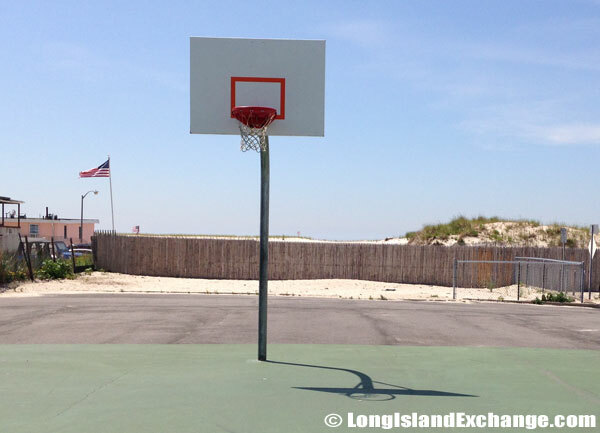 Private basketball court at the south side of East Atlantic Beach. 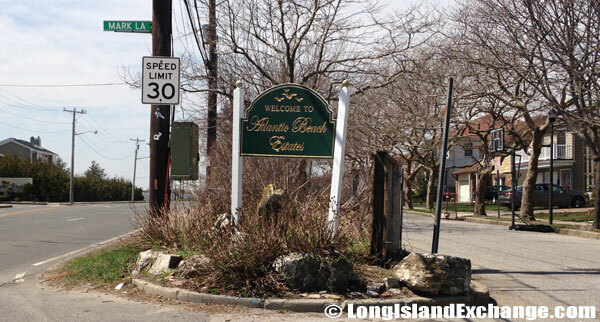 Atlantic Beach Estates, East Atlantic Beach.